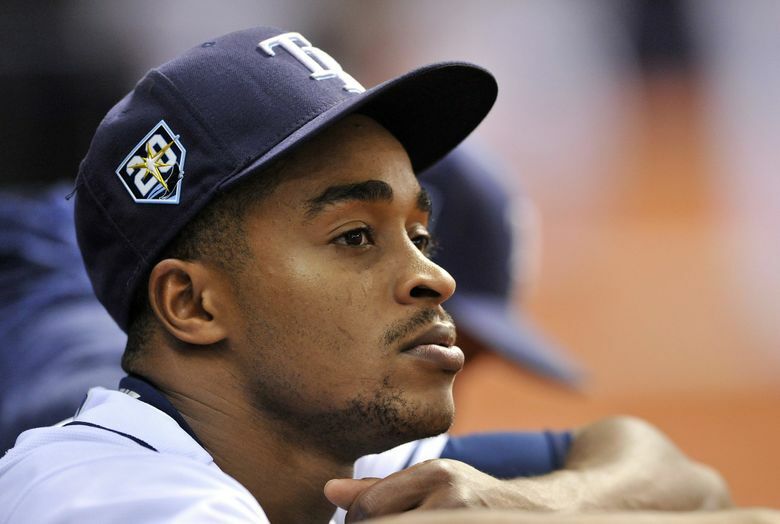 Mallex Smith, slated to be the Mariners’ leadoff man and regular center fielder before an arm injury derailed his spring training, will rejoin the team Sunday in Seattle. The Mariners will be holding another workout at T-Mobile Park in conjunction with FanFest. Smith was technically on the active roster for the Japan trip, though he remained in Arizona. Mariners manager Scott Servais said Smith received 30-35 at-bats in minor league games and is progressing toward being ready to play in the home opener on Thursday. By not putting Smith on the DL, the Mariners left open the possibility of him playing on this homestand. But Servais cautioned that he will likely need some days off. The Mariners reduced their roster to 25 on Saturday by optioning right-handed pitcher Dan Altavilla and outfielder Braden Bishop to Class AAA Tacoma. With Ichiro’s retirement, that trims their 28-man travel squad to Japan to the requisite number for Thursday’s regular-season reboot against the Red Sox. The club will be bringing about 10 additional players, including top prospects Kyle Lewis, Evan White and Jake Fraley, to Seattle to play in those exhibition games with the Padres on Monday and Tuesday. Bishop said he’ll savor the experience of making his major league debut in Japan as he heads off to the Pacific Coast League. Daniel Vogelbach, whose left elbow swelled up after being hit by a Ryan Dull pitch in his first at-bat of the season, said he’s feeling considerably better. During Saturday’s workout, he hit in the cage, hit off a tee, did front-toss work and took batting practice. Servais reflected on his role in removing Ichiro after his at-bat in the eighth inning Thursday that set off an emotional ceremony on the field. “I guess for me, you try to script it out, try to calculate when to get him out of the game,’’ he said. “I certainly felt it was important for him to come off the field, to the Japanese fans that were there and to give them one final goodbye, tip your hat. “After the game, I don’t think I’ll ever forget going back out into the stadium, and seeing Ichiro take the lap, so to speak, and our entire team really embracing the whole situation. Taking it all in. The Mariners’ rotation order for the Red Sox series will be Marco Gonzales, Yusei Kikuchi, Mike Leake and Wade LeBlanc, with Felix Hernandez slated for the first game of the Angels’ series on April 1.